A celebrity fitness trainer, Jeff Cavaliere is perhaps best known for his YouTube channel, which has over 6 million subscribers. Noted for his workout videos, he easily pulls in hundreds of thousands of views on the site, if not more, on a regular basis. In addition to his social media career, he has been involved with a number of different projects. For instance, he served as the head physical therapist for the New York Mets from 2006 to 2009. At one point, he also contributed to the Major League Insider Training Manual. How wealthy is the 43-year-old? How much does the social media star make from his popular YouTube channel? How much has he brought home from the platform over the years? According to some sites, Jeff Cavaliere has amassed a net worth of $2 million. What contributes the most to his income? We’ll be taking a look at this topic below. How did Jeff Cavaliere Make His Money & Wealth? Born on June 28, 1975, in Connecticut, Jeff Cavaliere had many role models growing up including Arnold Schwarzenegger and Sylvester Stallone. Ultimately, it was after he entered high school that he started to work out. Wanting to get more physically fit, he began to do fitness exercises at home. Before he knew it, he had fallen in love with the notion of having a strong physique. Upon graduating, he went to the University of Connecticut, where he majored in physioneurobiology. From there, he received a master’s degree in physical therapy. A year afterward, he began to work as a personal trainer and physical therapist. With a bit of luck, he had the chance to work with baseball star, Mark Johnson, whom he trained with for the next several years. With his help, he eventually landed a position with the New York Mets—who were looking for a new physical therapist at the time—in 2006. In the end, he worked with the team for three years from 2006 to 2009. During that period, he also served as an assistant strength coach. In 2006, he founded the ATHLEAN-X Training System. To promote the program, he created a YouTube channel called ATHLEAN-X. Soon, he began to post his own fitness videos, which to his surprise, were incredibly popular among viewers. Fast forward to 2018, and he has gained over 6 million subscribers with more than 889 million total views. Some of his most popular videos include Top 5 Worst Exercises (15 million views), How to Fix Anterior Pelvic Tilt (11.3 million views) and How to Get Big Arms (10.8 million views). With all the views that he receives, it’s hard to believe that he doesn’t pull in a considerable amount of earnings from his channel. 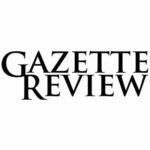 According to Nailbuzz, Cavalier makes an average of $1,500 per day from ad revenue. If we were to do the math, this would work out to be over $500,000 a year. Multiply that by the number of years he’s been active on the site, and it’s easy to see where most of his income comes from. Yes, Jeff Cavaliere has been married since 2008. With that said, he hasn’t revealed many details about his wife. Does Jeff Cavaliere Have Any Children? Yes, he and his wife have twin boys. Does Jeff Cavaliere Go to College? Yes, he did. After high school, he went to the University of Connecticut, from which he received a bachelor’s degree in physioneurobiology. From there, he earned a master’s in physical therapy in 2000. What is Jeff Cavaliere Famous For? 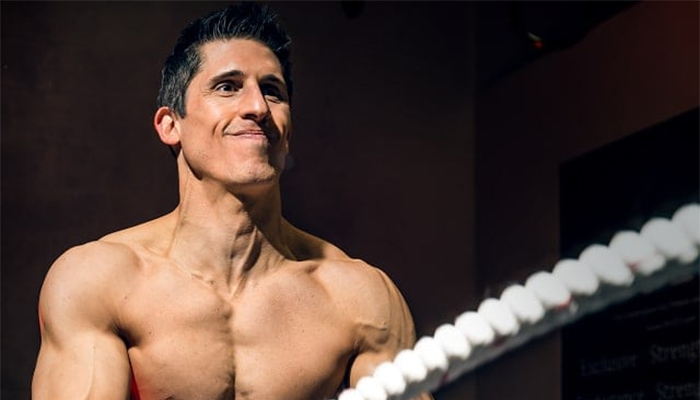 Jeff Cavaliere is best known for his Youtube channel, ATHLEAN-X. As of 2018, his fitness videos have earned him over 6 million subscribers. According to his official Twitter account, Jeff Cavaliere currently lives in Connecticut with his family. We do not have any pictures of his home at this time. What Kind of Car Does Jeff Cavaliere Drive? How Much Money Did Jeff Cavaliere Make Last Year? According to Nailbuzz, Jeff Cavaliere makes upwards of $500,000 a year. Jeff Cavaliere has added many new videos to his YouTube channel over the past several months. Some of these include How to Fix Your Posture in 4 Moves (Permanently), How to Fix Low Back Pain and The Lower Chest Solution, all of which have been viewed millions of times. What’s the fitness trainer up to? If you’re a fan, be sure to follow him on social media if you haven’t already done so—you can find Jeff Cavaliere on Twitter at @Trainer2thepros or on Instagram at @AthleanX. On Facebook, he also has an official page that you can check out here.